Meebo has launched Meebo for Android, an instant messaging application that brings free and open communication to T-Mobileâ€™s G1, the worldâ€™s first Android-powered mobile phone. Meebo for Android provides a simple â€œon the goâ€ instant messaging experience for anyone with a Meebo account, or an account on one of the popular IM services. The application will be available as a download through the phone via the Android Market. Access to all of your IM accounts through a single login and single buddy list. A fun and simple IM experience thatâ€™s similar to using meebo.com on your PC. Real-time notifications! Alerts of new IMs are pushed to the status bar even when Meebo runs in the background. meebo released the meebo rooms API and meebo Network, as well as five launch partners for the new programs â€“ Piczo, Revision3, RockYou, Social Project, and Tagged. The meebo rooms API enable large-scale implementations of meebo rooms for bigger community sites. The API is geared towards social networks, as well as large media and entertainment sites to enable live community on their sites in an automated fashion. To monetize these new partnerships, as well as dozens of existing relationships, meebo announced the formation of the meebo Network, a network of premium community, media and entertainment partners with whom meebo will be sharing 50% of the ad revenue derived from meebo rooms. For partners in the meebo Network that prefer an ad-free integration of meebo rooms, a yearly licensing fee option is also available. TokBox, a communication service that enables people to talk over live video in a single click, has launched the first voice/video calling product on the meebo Platform. It requires no registration, download, installation or configuration and is now seamlessly integrated into millions of meebo conversations. 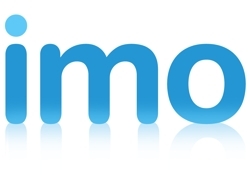 File Transfer today comes to meebo as its users can now seamlessly transfer files to your IM buddies, on meebo or off meebo, regardless of which IM network theyâ€™re on, no software or download required. At its core, meebo’s File Transfer utilizes the Amazon Elastic Compute Cloud (Amazon EC2) and Amazon Simple Storage Service (Amazon S3), core features of Amazon Web Services. Together, they provide an affordable, scalable and fault-tolerant solution to file storage and retrieval in a web environment.